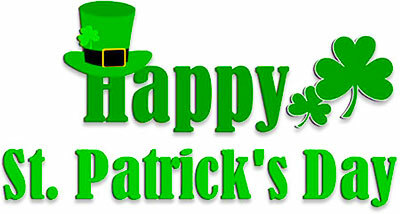 This page includes green top hats, shamrocks, Happy Saint Patrick's Day signs, leprechauns, shillelaghs, pots filled with gold, Irish dancers and more. 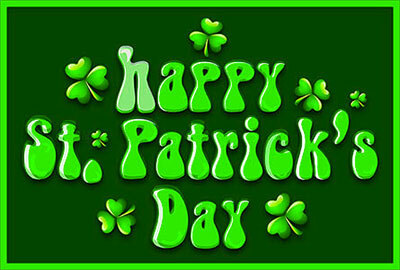 St. Patrick's Day is on March 17th each year. 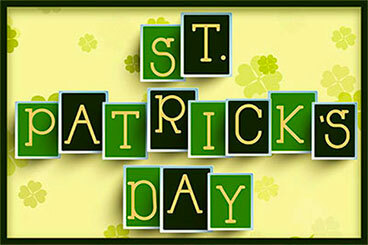 The "Feast of Saint Patrick" celebrates the patron saint of Ireland plus the Irish culture. 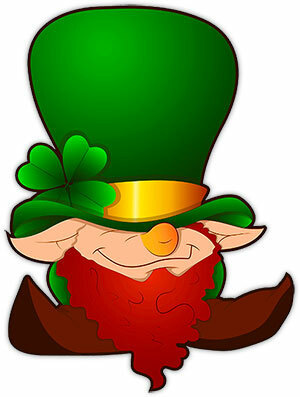 An animated clover living in an Irish hat. Happy Patrick's Day sign with clover. 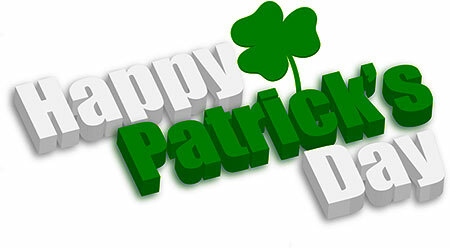 Happy St. Patrick's Day sign animation with shamrocks. Happy St. Patrick's Day sign with green top hat and clover. Happy St. Patrick's Day with ribbon and clover. 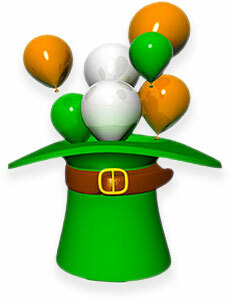 Green top hat with balloons. 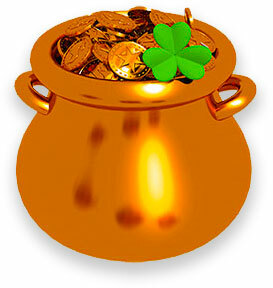 Pot of gold with shamrocks and animation. A leprechaun doing an Irish dance. A leprechaun having fun in his pot of gold. Lucky horseshoes with shamrocks animation. Dancing leprechaun with green beer and bag of gold animation. Leprechaun and his pot of gold animation. Two leprechauns drinking green beer. Large pot of gold with a shamrock. Leprechaun out for a walk with his shillelagh. 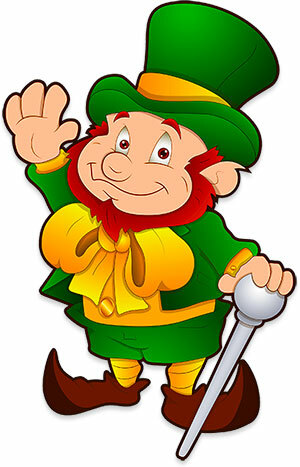 A happy leprechaun with red beard waving. Rainbow and a large pot of gold animation. 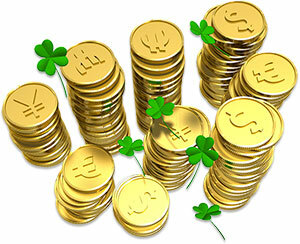 A leprechaun's gold coin stash with shamrocks. Irish hat and shamrocks animation. A rather short leprechaun in top hat. St. Patrick's Day sign in green and black. A young leprechaun in training. 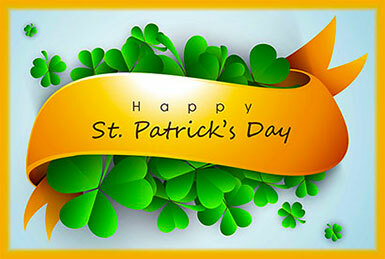 You may use our St. Patrick's Day clipart on your personal and educational websites.